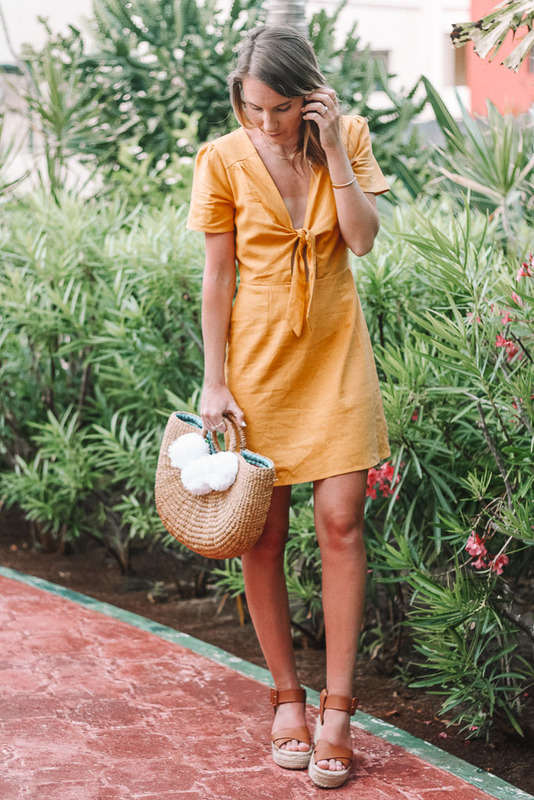 If you follow me on Instagram (@twentiesgirlstyle), you’ve probably heard me rave about this little yellow mini dress. I took it to Mexico and have been obsessed since! For just $50, this cutie is a steal! It’s made of linen, which does cause some wrinkles, but totally worth it. I love the tie front top (ignore my weird tan lines) and of course, the vibrant color. If yellow isn’t your jam, it also comes in a gorgeous rust and a polka dot option! 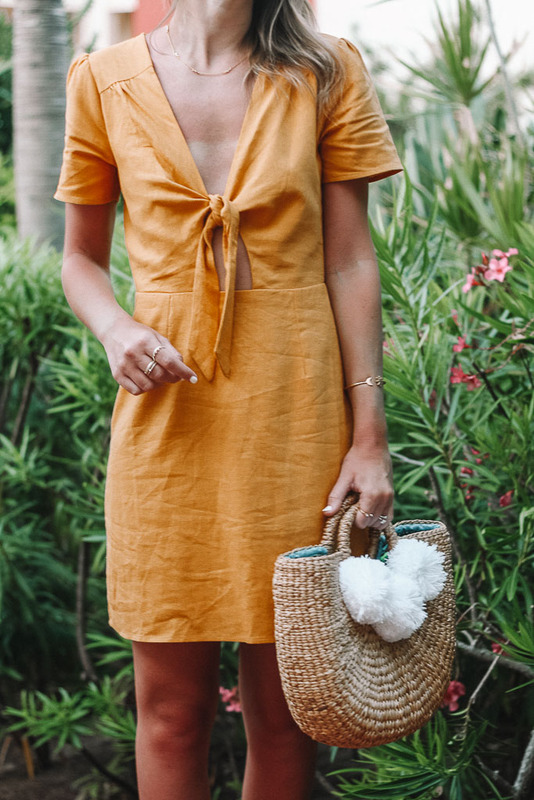 I love that this dress can be dressed up or down, and could easily be taken from a beach vacay to wedding guest attire! Keeping it short and sweet today. I hope your week is off to a great start! Tie front tops are my favorite trend right now! I also love the bright pieces, it’s so perfect for the season! What a cute dress! I like the color and the tie front detail so much! Such an adorable dress! And this color is fabulous on you. Love your style. It’s so perfect for a Mexican vacay! Have a great week girl!